At Kaiser Permanente’s newest hospitals, the Interactive Patient Care (IPC) system is empowering patients to take more control of their hospital room environment. By putting educational videos and personalized action plans at patients’ fingertips, IPC is helping to decrease readmission rates and get patients home faster. 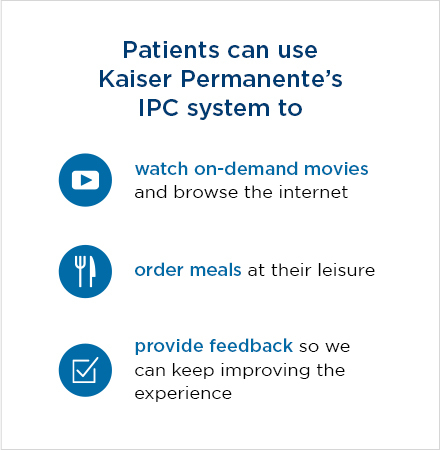 Through the IPC system, Kaiser Permanente aims to reduce readmission rates by showing patients how to care for their condition through instructional videos and action plans. The system also enables patients to prepare for discharge — a critical component for avoiding unnecessary delays that can extend a patient’s stay. Extensive research and user testing at Kaiser Permanente’s Garfield Innovation Center paved the way for the success of the IPC system. The team invited Kaiser Permanente members with varying degrees of tech savviness to visit the center, lie down in mock hospital beds, and interact with devices and screens. 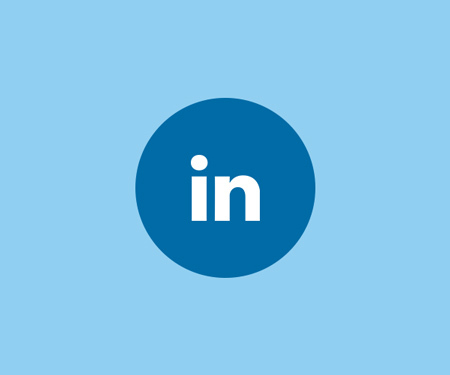 Their feedback helped shape the design, making interfaces more user-friendly and effective. To see how Kaiser Permanente is imagining the future of health care, visit the Garfield Innovation Center website. 1 “Hospital Adjusted Expenses per Inpatient Day,” The Kaiser Family Foundation, 2013. The Kaiser Family Foundation is a nonprofit, private organization not affiliated with Kaiser Permanente. 2 “Conditions With the Largest Number of Adult Hospital Readmissions by Payer,” Agency for Healthcare Research and Quality, April 2014. 3 “The No-Fall Zone,” Hospitals & Health Networks, June, 1, 2013. 4 “Outcomes,” GetWellNetwork, http://www.getwellnetwork.com/success/outcomes, accessed July 28, 2015. 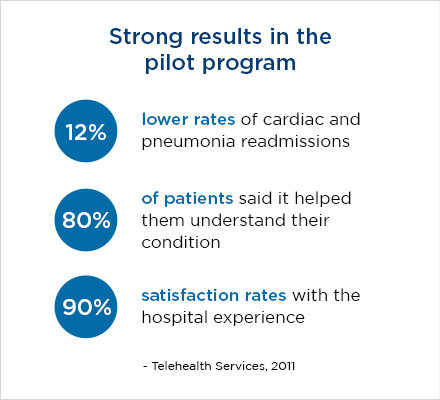 5 “Case Study: Kaiser Panorama City Hospital,” Telehealth Services, https://www.telehealth.com/sites/default/files/06_KaiserPanoramaCityCaseStudy.pdf, 2011. 6 Serene Lau, “Can TV Be Good for You? Yes, if You’re a Patient at a New KP Hospital,” InsideKP, March 25, 2015.